In this episode of The Brain Food Show, we begin by discussing the clandestine way Niel Armstrong managed to get his application to the astronaut program in despite submitting it past the deadline. 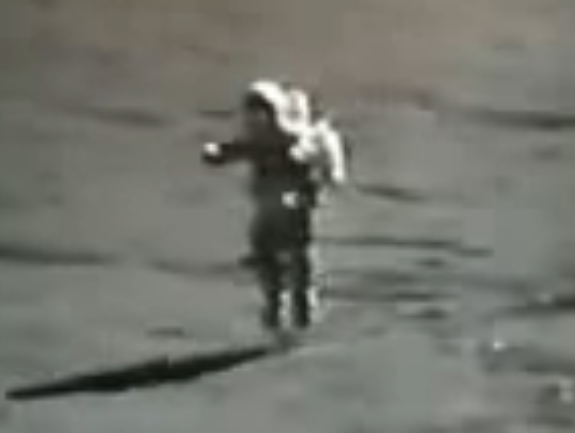 We then look at why he got to be first to walk on the moon when precedent should have had it been Buzz Aldrin. Next up we look at the oft’ forgotten second thing Armstrong said when stepping out onto the moon. Moving swiftly on we do a rapid fire of a variety of space related bonus facts including, but not limited to, the real color of the Sun, how much energy it would take to cause the Earth to stop orbiting the Sun, how old the Sun is in Sun years, how many Sun rises and sunsets astronauts aboard the International Space Station see every day, etc. And for those curious on Simon and my treatise on the proper order of watching Star Trek series and other such thoughts, the mentioned forum post is here.